When you really look at it, it seems strange that Podgorica – the capital of Montenegro – is not among the regional cycling capitals. Situated in a plain, with an area of around 100 square kilometers and borderline Mediterranean climate, it could be a proper haven for urban cycling. Unfortunately, it is not. Sudden demographic expansion of this fairly new capital city, poor quality of public transportation and lack of proper planning for more sustainable solutions have left us with an awfully congested city, hostile towards pedestrians and cyclists, covered in never-ending, cramped parking lots. Other worrisome consequences include increased levels of air and noise pollution and rising number of fatal car accidents. The city government recognizes the problems but doesn’t have an effective way of dealing with them – looking into reasons for this could be a whole new story. For now, let’s stay focused on one troubled city, and and the group of its citizens willing to do something to ameliorate the situation – in this case, the grassroots cycling association Biciklo.me. Activism concerned primarily with how public urban space is created and treated doesn’t have a strong hold in Podgorica. 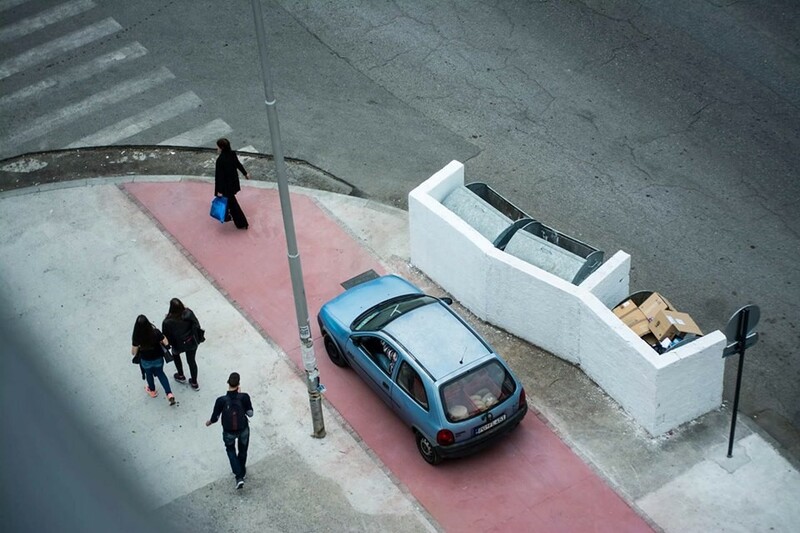 Over the last couple of years, new organizations have formed – Gradio, Urbar, KANA, ArchCommune – led mostly by young architects who decided that the serious, public work of professional urbanists is necessary if we are to better understand and start solving some of the urban problems that have piled up in Podgorica over the years. Biciklo.me has indeed attracted some of the experts from the local architectural scene, but as an organization it has somewhat different beginnings: it originated on Twitter and Facebook, in online chat forums, and in the streets. Back in 2012, Tweet-Ups were a thing in Podgorica. People who often tweet and follow each other on Twitter started organizing monthly meetings in popular downtown cafés, to hang out and meet one another in person. In this laid-back atmosphere, many discovered peers with similar interests – including cycling. In the spring of 2012, the first Bike-Up was organized: people were invited via social media to get together and celebrate the Earth Day by going for a bike ride. The turnout showed this idea had some potential, and inspired new actions. One of these was launching a website, with the domain name Biciklo.me (translates to Bike.me), which was intended to serve as a place where people could get information relevant to cyclists and organize cycling trips and gatherings. Soon, the capital city got its regular, monthly Critical Mass. This month the 42nd consecutive ride will be organized in the streets of Podgorica. On a sunny day, these rides gather up to 300 cyclists of all ages and backgrounds. In a city of around 200.000 inhabitants, with almost no cycling infrastructure, that’s not bad at all. 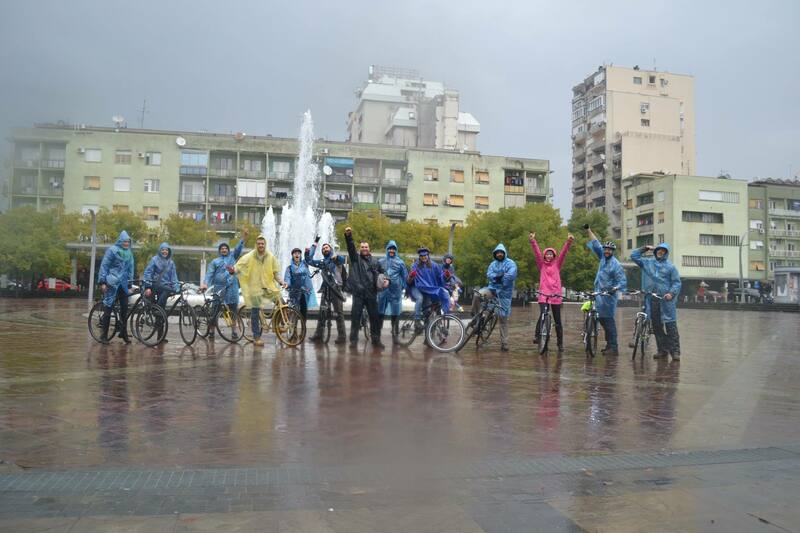 When in 2013 it became apparent that this loosely organized team could do even more for cycling in Podgorica if it made some sort of formal association, the group behind the website and the Critical Mass rides stepped up and registered as a non-government organization, adopting the name of their web site as the official name of the organization. In a little more than three years since, Biciklo.me has managed to put up most of the proper public bicycle parking racks around the city – mostly funded by donations from business sector – and to provide proper guidelines for any company or institution wishing to install such parking in their own front yard. The organization succeeded in forming creative partnerships with local universities, other NGOs, regional partners, and international organizations. While most of the day-to-day operations are still done by enthusiastic volunteers, funding for some of the activities has been secured. 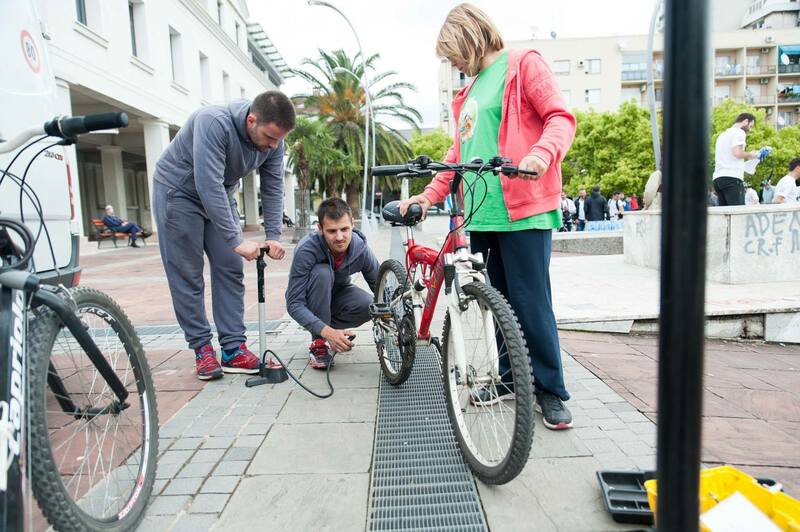 Active projects include designing a cycling manual for primary school kids, creating a web platform to gather information about the needs and problems of cyclists in the city, organizing a community project to make one of Podgorica’s neighborhoods more bike-friendly, and encouraging the development of a cycling community in Nikšić, the second-biggest city in Montenegro. The team behind all this has around twenty members, all involved to varying degrees. The organization kept its loose, horizontal structure, and is always welcoming new members who wish to contribute. That’s how I joined the team in October 2015, right after coming back to Montenegro after the 4CITIES graduation party, with fresh memories of cycling around Vienna and Copenhagen. The inspiring experience I had as a proper urban cyclist in these two cities, along with the knowledge and the network acquired over the course of 4CITIES was something the organization could benefit from – and that I was eager to share. In return, I got a great team to work with on pushing bike-friendly policies from below, and someone to teach me how to change a flat tire. 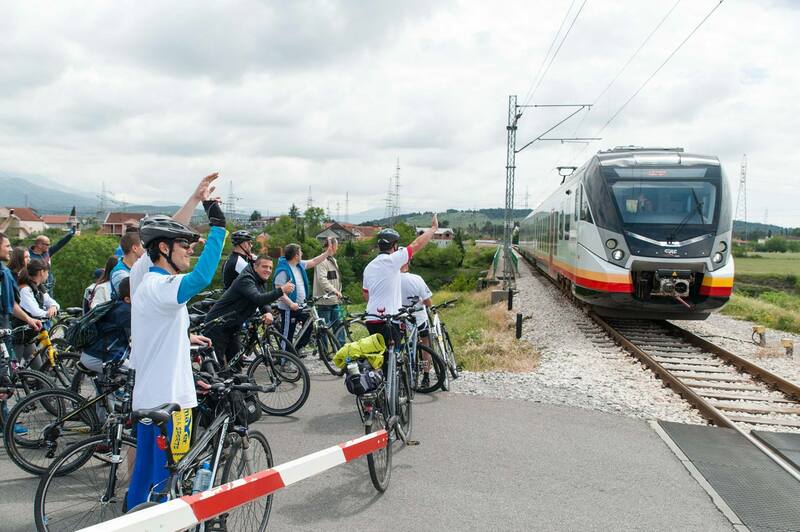 The important issues the organization plans to address next concern traffic legislation and long-term planning for cycling infrastructure in Montenegro. 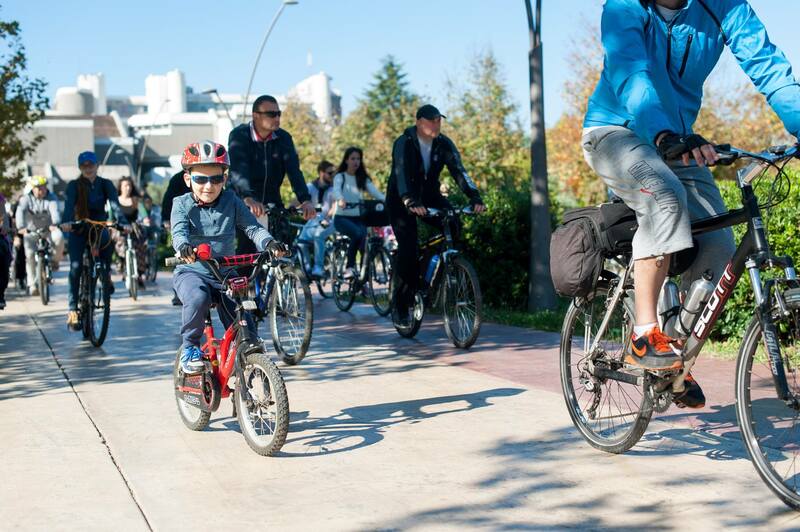 Several kilometers of cycling paths have been built in Podgorica over the last year and a half, and even though the quality of both the design and the maintenance could have been better, it is evident that this safe cycling space has attracted new users and encouraged people to get out there and bike. What’s important now is for the city to establish proper procedures for planning and building cycle paths in the future, and to invest in educating the city planners on the most recent trends and best practices concerning cycling infrastructure. It seems simple enough, but it requires political will and leadership. This is a challenge, as currently the political leaders do not take this topic seriously enough and do not believe the city can be changed by design interventions. The fact that the leading planners who worked on creating the cycle paths which are now being constructed don’t even cycle is quite telling: it is difficult to argue that non-cyclists can envision and build the cycling infrastructure effectively. As long as those who lead and plan the city perceive urban cycling as leisure activity, rather than one of the possible solutions for congestion and pollution challenges of this growing city, we will have a problem. However, as long as the cyclist of Podgorica keep cycling and gathering for regular Critical Mass rides of protest and celebration, we will also have a possible solution.